Born in Hamilton 1949, Jan Kemp has an MA (Hons.) in English from the Univ. of Auckland, a Diploma of Teaching and an R.S.A. TEFL Certificate (British Council, Hong Kong). After graduation she lived and taught for many years in the South Pacific, Canada and Asia at various universities including Papua New Guinea, Macau, Hong Kong and Singapore. She studied German and Italian literature in Frankfurt for five years until her return home to live in NZ in late 1999, with her husband Dieter Riemenschneider. She has taught creative writing at the J.W. Goethe-Universitaet, Frankfurt am Main and at University of Auckland Summer School. Jan Kemp has just completed (April 2004) her sixth collection of poems Dante’s Heaven. Her fifth collection Only One Angel came out in December 2001 (University of Otago Press) following The Sky’s Enormous Jug – love poems old and new (Puriri Press, Auckland, May 2001). Her earlier books are: Against the Softness of Woman (Caveman Press, Dunedin, 1976) O/P; Diamonds and Gravel (Hampson Hunt, Wellington, 1979) O/P and The Other Hemisphere (Three Continents Press, Washington DC & Butterfly Books, N.S.W.1991). She first published and performed as a FREED poet in the late sixties and was the only woman contributor to The Young NZ Poets anthology (Heinemann, ed. Arthur Baysting) in 1973. She was collector and co-editor in 1974 of Waiata Recordings three LP album NZ Poets Read Their Work with Jonathan Lamb & Alan Smythe. In 1979 she toured NZ with Alistair Campbell, Sam Hunt and Hone Tuwhare on the NZUSA ‘Gang of Four’ Poets Tour and was in the NZ contingent at the South Pacific Festival of Arts in Port Moresby, Papua New Guinea in 1980. She has taught at the universities of Papua New Guinea, Hong Kong, East Asia at Macau, National University of Singapore and J.W. Goethe Universtaet, Frankfurt am Main, Germany. 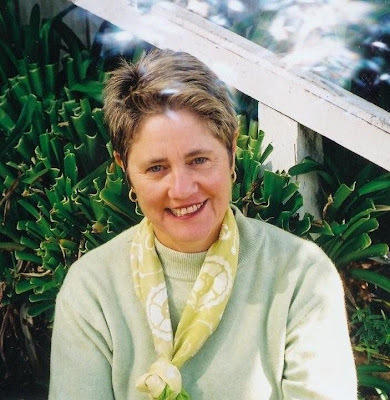 Since returning to live in NZ in 1999, she has taken part in the NZ Book Council’s Words On Wheels 2002 Tour of the Waikato and NZ Poetry Society’s Northern Lights Tour of the northern SI, also in 2002. Her poems have been collected in many NZ and overseas anthologies and she has received writing grants from Creative New Zealand and the Stout Centre. Some of her work has been translated into Chinese, German, Italian and Spanish. She and her husband Dieter Riemenschneider live at Torbay, on Auckland’s North Shore. She is founder and director of the Aotearoa New Zealand Poetry Sound Archive, with co-director, Jack Ross.